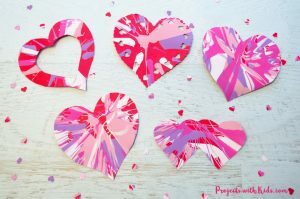 Valentine’s Day is a perfect time to create pink and red heart-shaped projects with your preschooler, so break out the construction paper, paint, and glue. 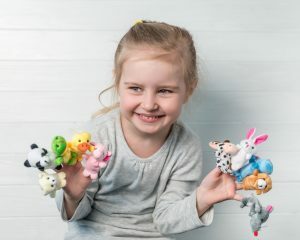 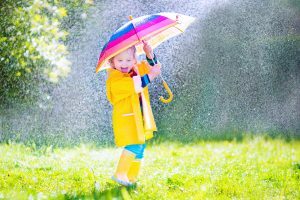 It’s time to get creative with these adorable crafts. 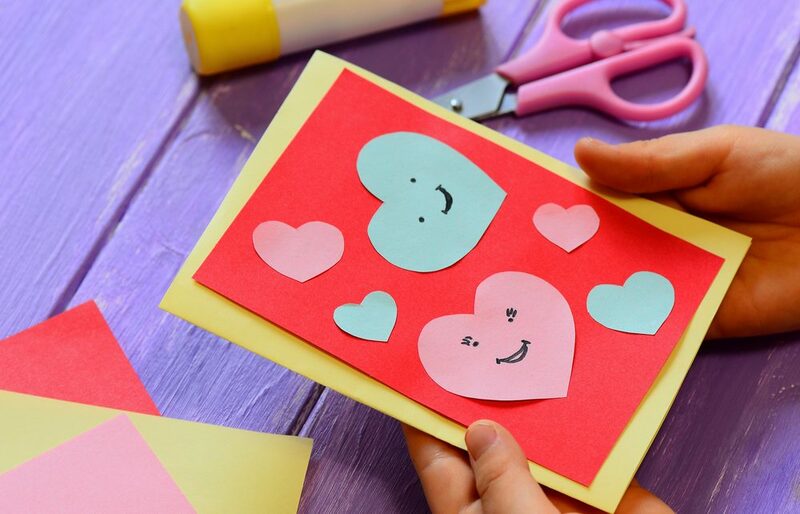 Your preschoolers will have fun creating these sweet crafts, that might make them wish it was Valentine’s Day every day! 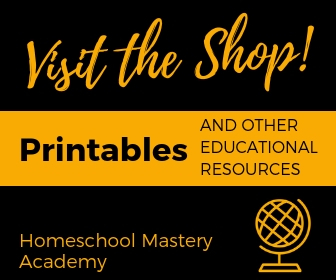 These fun and easy crafts would make great gifts to give to friends and loved ones like grandma and grandpa, and aunts and uncles! 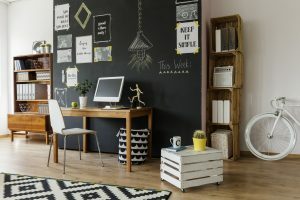 Because what’s more special than something handmade with love and care? 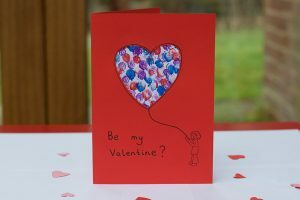 Your preschooler will have fun creating this Easy Valentine Finger Paint Card from Little Fish to share with a special loved one for Valentine’s Day. 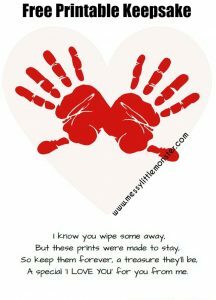 This Handprint Keepsake Poem from Messy Little Monster is sure to be a cherished treasure for years to come! 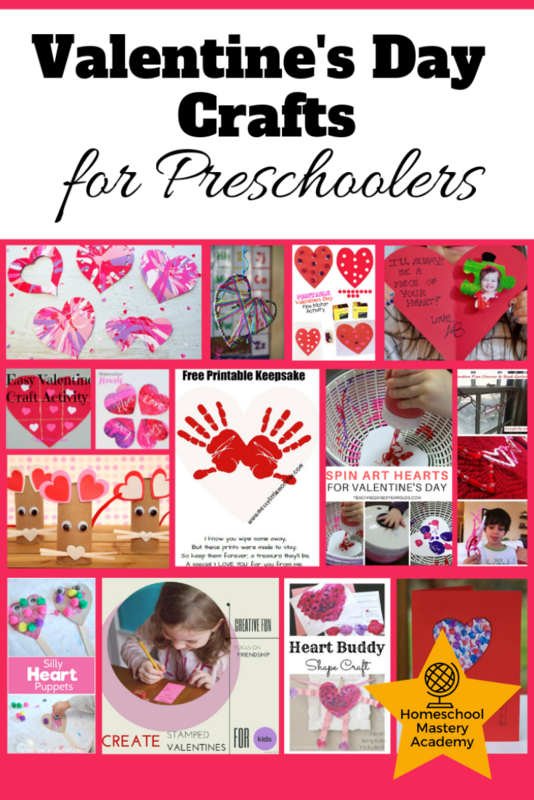 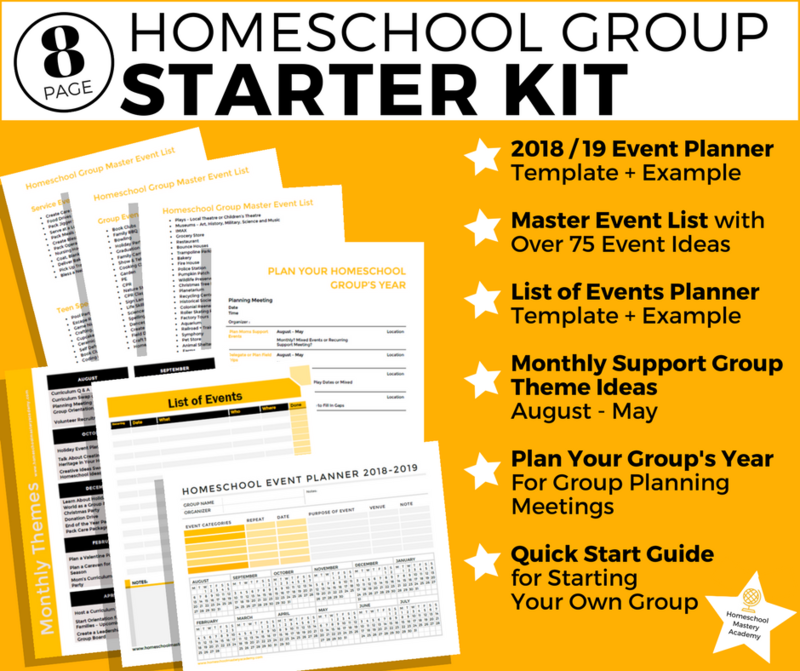 Preschoolers will love painting and cutting out their Heart Buddy from School Time Snippets. 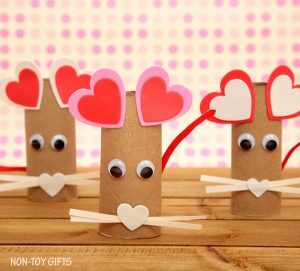 This Paper Roll Heart Mouse Craft from Non-Toy Gifts is a simple craft that will keep your preschooler busy and they can probably do this one with very little help from you at all. 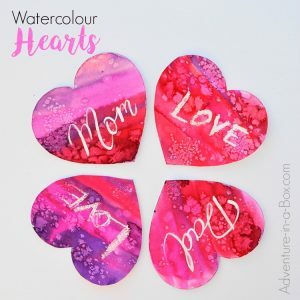 These Painting Water Color Hearts from Adventures in a Box are great art activity for Valentine’s Day or even Mother’s Day. 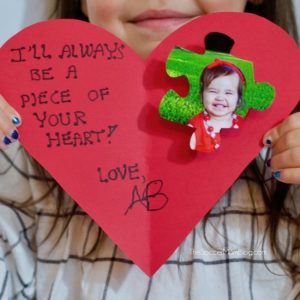 Your preschooler can share a piece of their heart with someone special with this adorable Puzzle Heart Valentine Card Craft from The Soccer Mom Blog. 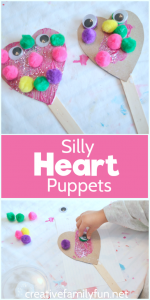 Use recycled materials to create these Silly Heart Puppets from Creative Family Fun with your preschooler. 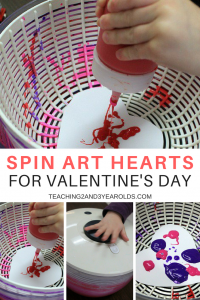 Get out your salad spinner for a fun way to paint hearts with this Spin Art Valentines for Kids craft idea from Teaching 2 and 3-Year-Olds. 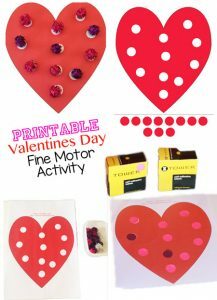 Kids will have a blast spinning their hearts and making cool patterns with this Heart Spin Painting craft from Projects with Kids. 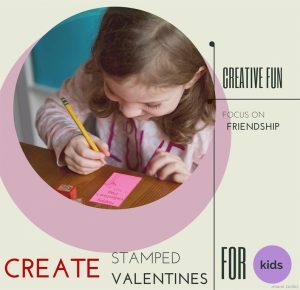 Create these simple Stamped Valentine’s from Mama Smiles to express their appreciation and love for their friends and family. 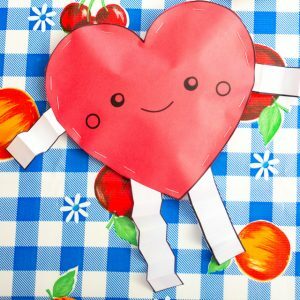 Preschoolers will have fun crumpling paper to stuff these Adorable Paper Heart Stuffies from Pink Stripey Socks. 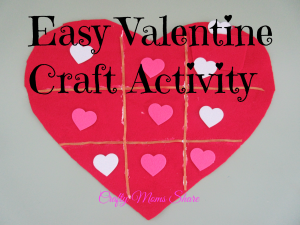 This Valentine Tic-Tac-Toe Game Craft from Crafty Moms Share is easy enough for the kids to make themselves and then enjoy a fun game of tic-tac-toe! 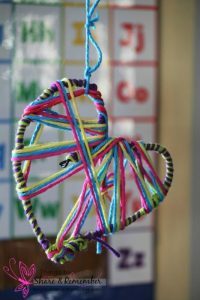 Your Preschooler will love to decorate your home with this cute and simple pipe cleaner Valentine Heart Garland from Jinxy Kids. 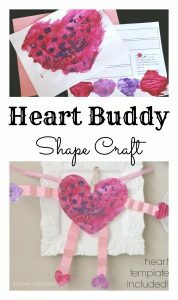 These Yarn-Wrapped Hearts from Red Ted Art are a great fine motor activity for little hands and make festive Valentine’s Day decorations for your home. 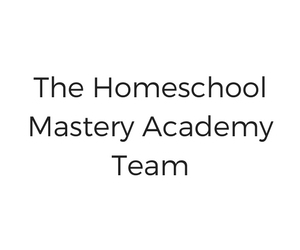 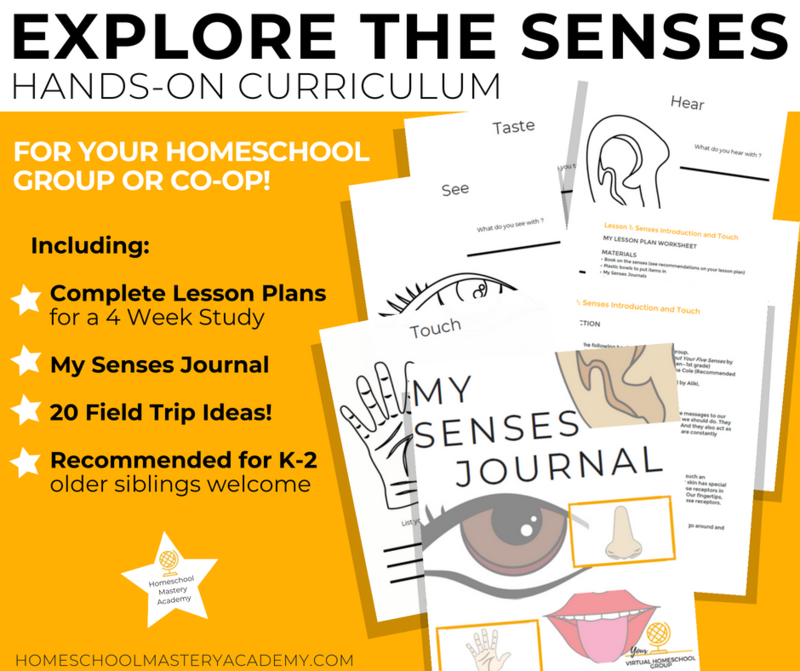 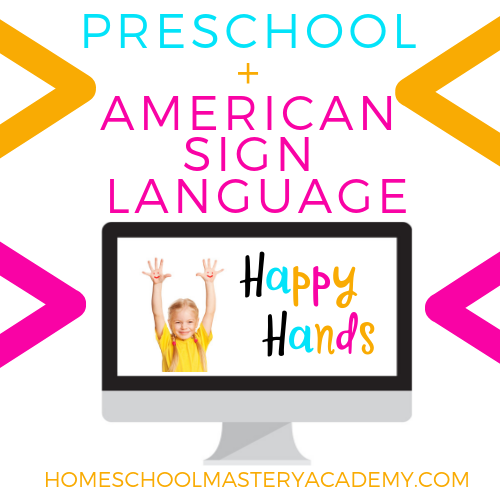 This simple Heart Printable Activity from Fun With Mama is a great fine motor activity and will keep your preschooler busy for quite some time! 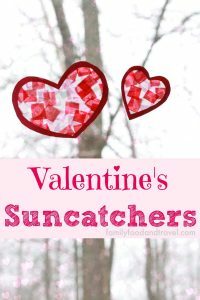 No glue required for these easy to make Heart-shaped Valentine’s Suncatchers from Family Food and Travel.